Democrats in the 5th Congressional District will caucus on Tuesday, May 31st, to select district delegates to the Democratic National Convention to be held July 25-28 in Philadelphia. At its May meeting the New Britain Democratic Town Committee unanimously endorsed DTC Member Bobby Berriault, an early organizer for the Bernie Sanders campaign, to be one of four 5th CD delegates pledged to Sanders at the national convention. Berriault is running on a four-person slate. 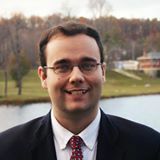 A CCSU graduate and currently a law student at Western New England University School of Law, Berriault is a district leader on the town committee and has served as an officer of Greater Hartford Young Democrats. He is currently an intern at the CT Commission on Human Rights and Opportunities. A contingent of New Britain Democrats will be going to the Sanders caucus in support of Berriault and his slate. All Democrats in the congressional district are eligible to vote at the caucuses that begin at 7:30 p.m. The Sanders Caucus will be held at Torrington City Hall, 140 Main Street, in Torrington. The caucus for Hillary Clinton will be held at the Meriden Public Library’s Griffin Room, 150, Miller Street. Democrats who filed a candidacy for national convention delegate stating their candidate preference prior to May 3rd are eligible to be delegates to the national convention. While all Connecticut super delegates have endorsed Hillary Clinton, the district delegates are nearly even in support of Sanders and Clinton. Senator Sanders edged Clinton in the 5th CD but narrowly lost New Britain in the April 26th Primary. Ms. Clinton won the statewide primary by five points. A five-member charter commission is recommending three questions to amend the city’s governing document to be put before voters in November. The public will be able to comment on the May 26th Draft Report at a final hearing this week before they are sent to the Common Council. The public hearing will be held at 6 p.m., Room 201, City Hall, 27 West Main St on Wednesday June 1st. Share the term of office of the Mayor be changed from a two-year to a four-year term commencing in the election of 2017? Shall the term of office of the Tax Collector be changed from a two-year term to a four-year term commencing in the election of 2017? Shall the remainder of the changes to the Charter as recommended by the Charter Revision Commission be approved? Rejected by the commission were changing the method of electing the common council to a minority representation system, a compensation plan for Mayor and non-union positions and the establishment of a separate golf authority to oversee Stanley Municipal Golf Course. Changing the current ward and at-large system of electing the council drew strong opposition from both Democrats and Republicans. Conversely, the idea of a four-year mayoral term won broad support in public testimony. The commission indicated the charter was not appropriate for changing the compensation of the Mayor and other City Hall officials. The Common Council will take up the commission report with the option of accepting the proposed questions or adding others to the ballot. The Common Council will hold a special meeting to adopt the 2016-17 budget on Thursday June 2nd at 6:30 p.m. The Common Council is expected to rubber stamp the administration’s budget that was revised from the FY 17 Budget proposed by the Board of Finance earlier in the year. The Administration’s $239 million plan for the year that begins on July 1 is a 5.6 increase in spending over this year and would hike the property tax rate from 49 to 50.5 mills or 3 percent. Tax relief this coming year will come in the form of reduced automobile property taxes as the result of the Democrats in the Legislature reducing the property levy on cars that hits urban residents the hardest. A portion of sales tax revenues will be used to bring tax relief after Republican efforts to kill relief from regressive tax on cars failed. This entry was posted in City Charter, Municipal Budget, Presidential Politics and tagged Connecticut Democrats, Sanders for President. Bookmark the permalink.